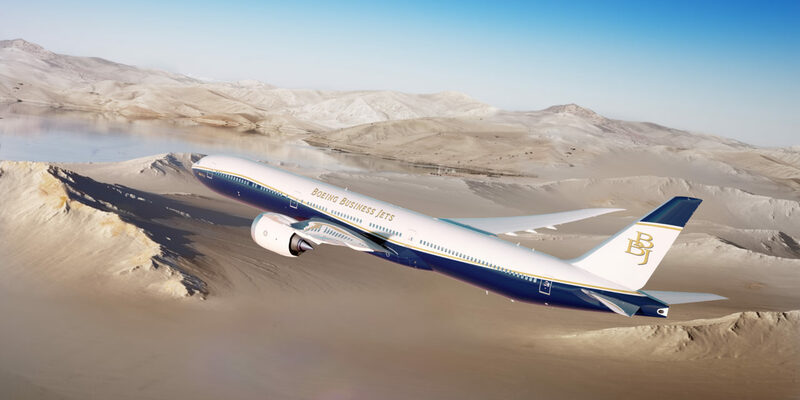 777X Boeing Business Jets announced the launch of the BBJ 777X which will be available in in two versions, the BBJ 777-8 and the BBJ 777-9. The BBJ 777-8 comes with a range of 21,570 km (11,645 Nm) and a spacious 302,5 m2 cabin. The BBJ 777-9 has an even bigger cabin (342.7 m2) and and a range of 20,370 km (11,000 Nm). 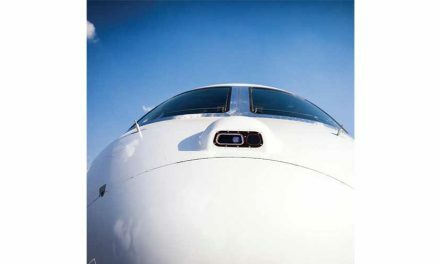 Boeing Business Jets CEO Greg Laxton said : « Our most exclusive customers want to travel with the best space and comfort and fly directly to their destination. The new BBJ 777X will be able to do this like no other airplane before it, redefining ultra-long range VIP travel ». To demonstrate the different interior layout possibilities, BBJ presented three projects from renowned designers: Greenpoint Technologies, Jet Aviation and Unique Aircraft Design. G650ER The G650ER took advantage of its flight to the Dubai show to set a new speed record, improving the previous by one hour and 48 minutes. The Gulfstream Aerospace demonstration aircraft crossed the 11,375 km (6,142 nm) distance between Teterboro (New Jersey) and Dubai in 11 hours and two minutes at an average speed of Mach 0.90. MJet GmbH of Austria has become the first ACJ319 operator to sign up for Skywise, enabling it to integrate its own operational, maintenance, and aircraft data into the Skywise platform. MJet will store, access, manage, and analyse selected Airbus data together with its own data and global benchmarks without the need for additional infrastructure investments. This service will provide MJet new insights at aircraft, company and global level while allowing it to enhance its operations by improving operational reliability, reducing operational interruptions and identifying efficiencies, cost savings and enhanced revenue opportunities. MJet will share its Airbus operating-data and in return access the platform to benefit from other A319 operators’ aggregate aircraft reliability fleet data. MJet will also work with Airbus to further develop product and support services specifically for ACJ operators. Skywise provides all users with a single access-point for their enriched data by bringing together aviation data from multiple sources, across the industry, into one secure platform. The more data that airlines share into the Skywise platform, the more accurate the predictions and models for all connected. All data is anonymised to ensure data confidentiality. 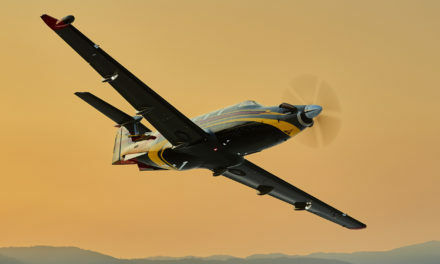 The first PC-24 ordered by Falcon Aviation Services will be delivered in September 2019. 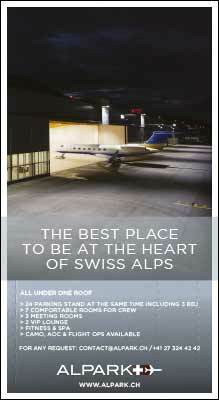 The aircraft being finished is currently undergoing painting and interior accomodation at Pilatus in Stans, Switzerland. 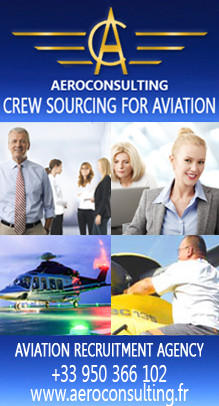 In the future, the Falcon Aviation Services fleet will comprise twelve different types of aircraft. Falcon Aviation Services’ Captain Raman Oberoi said : « The PC-24 will allow the company to develop a new business segment for the 1,800 Nm to 2,000 Nm flights ». Honda Aircraft has selected Jetex as the exclusive HondaJet Elite representative for the Middle East. The agreement was signed on December 9, 2018 in Dubai’s Jetex terminal. On this occasion, Michimasa Fujino, President and CEO of Honda Aircraft said : « With Honda’s brand strength and recognition in the Middle East, we have received tremendous interest in the HondaJet Elite. We are proud to appoint Jetex as HondaJet Middle East to provide our customers with a committed sales team in the region for the world’s most advanced very light jet ». 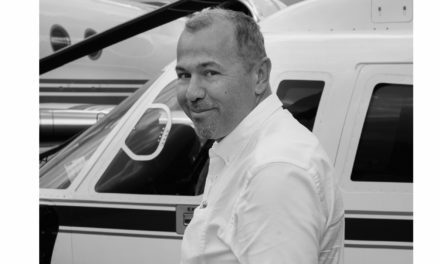 Adel Mardini, President of Jetex also expressed the pride of his company to have been chosen by Honda Aircraft and said : « We are proud to be chosen by Honda Aircraft Company and excited to be awarded the role of dealer. Jetex will leverage our global network and our experience to offer unrivalled support for HondaJet in the region ». The Elite version of the HondaJet jet was launched at the EBACE show in Geneva in May 2018. Flying Colors Corp. PTE, the subsidiary of the Singapore-based interior design company, based at Seletar airport, is expanding its range of services. The company has completed seven interior refurbishments (four complete and three partial) on two Challenger and five Global. Building on its extensive historical experience as a cabinet and furniture repairer, the company is taking a major industrial step by now offering complete or partial cabin refurbishments on Bombardier aircraft based in Asia and the Middle East. . This development has started logically after the purchase of a used Global XRS by a customer. During the maintenance work done by Flying Colors on this aircraft, it was asked to refurbish the cabinets, the sofa and the seats, to install a new veneer and a new carpet and to replace the galley and the toilet. The demand for cabin renovations is increasing dramatically in the Asian and Middle Eastern markets where owners and operators have understood the value of buying used aircraft. 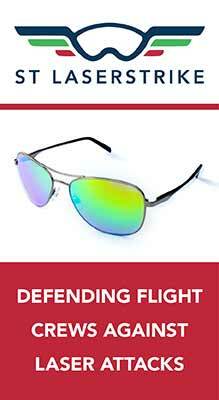 Paul Dunford, Managing Director of Flying Colors Corp. PTE . explains: « A few years ago, the demand for brand new aircraft was predominant in Asia but today, more and more buyers are turning to the second-hand aircraft that they customize. Our team can make minor repairs as well as complete refurbishments. 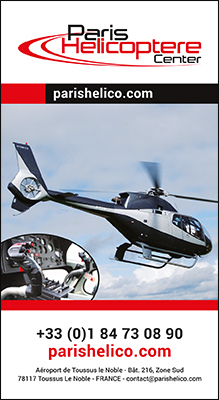 Our reputation is equivalent to those of specialized companies established in North America or Europe. 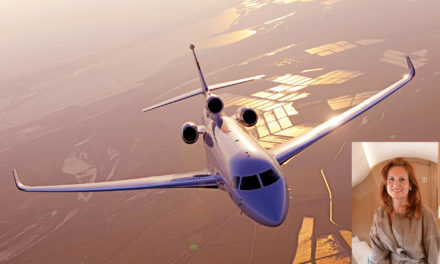 We are now well known in the Asian and Middle Eastern market where 300 Bombardier business jets are based. Many of them will soon require a major overhaul, which is often an opportunity to refurbish interiors, and we expect a busy year in 2019 ».